Very nice. thanks for the share. I tried six times to get a close-up of this picture, but it never loads. Not to quote the old lady from Excorsist, but "Why you do dis to me Dimmy?" i loooove it! 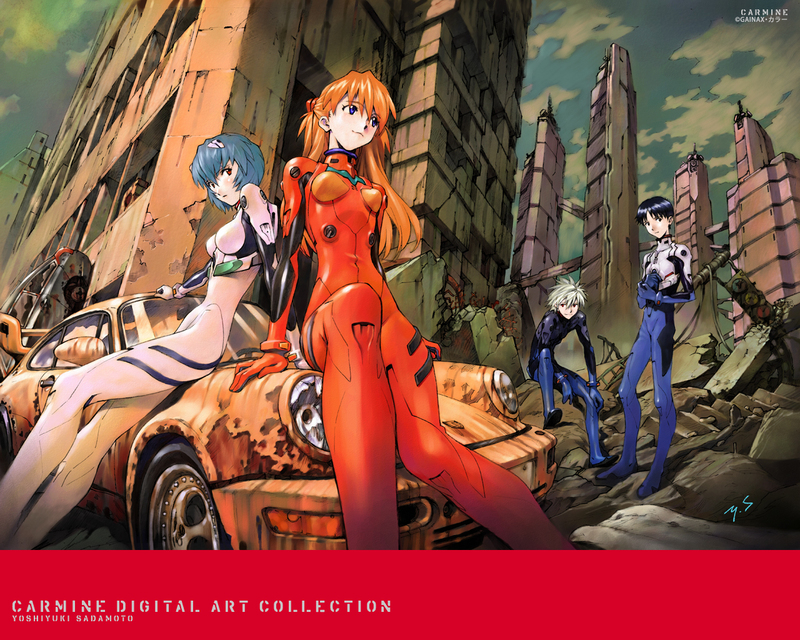 especially rei and asuka! thank you so much for sharing! which artbook is the picture from? I am waiting for the new artbook. Hopefully it will contain all these cool scans! thank you, this scan is ferfect, i like it..
Too bad about the porsche, nah it's going to bankrupt anyway. I love the background details and the perspective. Really cool composition of everything here. Thanks for sharing it :3.
awesome pic! thanks for sharing.